The success of a film is a subject of its intentions. Once Upon a Time in China is a film that epitomises this phrase entirely. 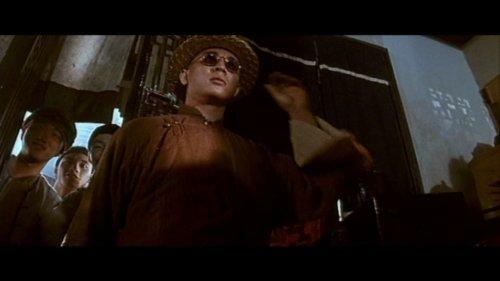 The amazing tale of martial artist Wong Fei Hong is portrayed on the screen in nothing more than a number of loosely connected fight scenes. Director Hark Tsui has obviously aimed for much more, and in doing so, failed on every front bar-one. The recent and well-known Hero has been criticised for being fantastic eye-candy, and little more. These criticisms come from those who, like many, look for a strong plot to drive a film from scene to scene. If these scenes are gloriously photographed, it’s just an added bonus. Contrary to popular belief, I don’t shun these views entirely. However, in the case of Hero, a film that’s intent is to be a visual spectacle, these criticisms are unwarranted. Why look down on a film that succeeds in its own intentions? It would be like throwing away Lost in Translation on the grounds that it wasn’t scary enough. These films may be esoteric, but are certainly not a failure – on any terms. 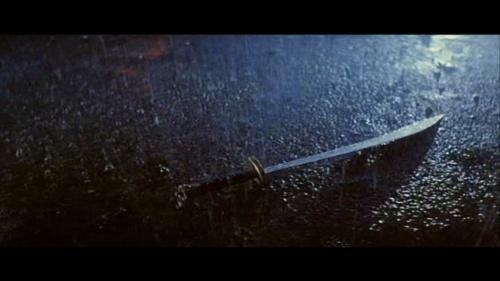 Once Upon a Time in China is a film that is often criticised on the grounds that its plot serves to simply move from one fight scene to another, similar to those of Hero. This is because director Hark Tsui has made a film that follows a legendary Chinese historical figure, yet has left out the level of depth within his plot and characters that is so obviously intended. With no depth in plot, the purpose of portraying the story of Wong Fei Hong on the screen is completely void. If random, well choreographed fight scenes are all you’re after, then why not create something like Hero, a film that doesn’t aim to do anything more than present a visually spectacular (and very simple) narrative. Once Upon a Time in China fails in its intentions, which is why it ultimately fails as a motion picture. It tries to present this epic tale of a hero, yet constantly gets hung up on the fight scenes we’re all there to watch. Like Hero, Once Upon a Time in China is filmed superbly. The vivid colour is missing, but the brilliant composition of each shot remains. It is as if each scene is meticulously planned with perfect cinematography in mind, lit subtly and effectively. The fight scenes aren’t the quickly edited, fast paced MTV-style scenes we’ve become accustomed to in recent years; they feature long takes and superb choreography, yet retain the same fast paced intensity we all love in an action sequence. However Once Upon a Time in China isn’t a film that presents itself as a visual spectacle, so these fight scenes and the fantastic cinematography is something of an extra. It seems to want to be this epic tale of Wong Fei Hong, yet too often slips into the formula of your standard Hong Kong martial arts flick. Jet Li going for his Hunter S. Thompson look. It is disappointing that this film essentially fails, proving to be more of a bore than the entertaining romp it should have been. I can’t help but imagine another director taking to the story of Wong Fei Hong in the future, with the same intentions as Hark Tsui, yet producing an effective, balanced film – complementing a strong plot with outstanding visuals. Don’t mistake Once Upon a Time in China as anything more than a formulaic martial arts film. 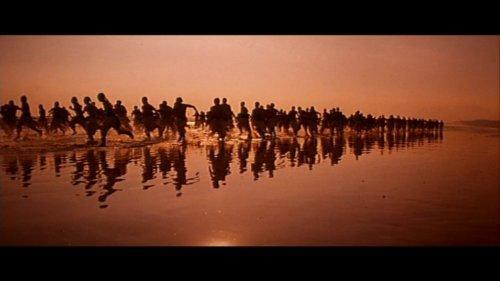 The blatant anti-western view hammered from frame one decreases any value a western audience would have in this film. It’s not that I’m defensive when it comes to films that aren’t western friendly, it’s more that Once Upon a Time in China portrays the west as a band of complete idiots, as well as the mortal enemy of the native land dwellers of Canton (in which the film is set). One scene in particular instantly strikes to mind as being hilariously propagandist. After listening to the brave and noble words of the Local Militia leader, Wong (Jet Li) we cut to a scene of two Americans sitting in a boat discussing which they prefer, cigarettes or a pipe. The juxtaposition is so blatant in its intent that you can’t help but laugh, whether it is at or along with the director, I’m not so sure. To add to the negativity surrounding this film is the awful English dub its been given. Considering the original Cantonese is a dub, in line with the annoying trend of the time, it is genuinely surprising how absolutely terrible its English partner is. Bad voice acting is only the beginning, as the terrible balance between dialogue and sound effects is reason enough to rip your ears out. This is a film that’s strength is in its visuals. 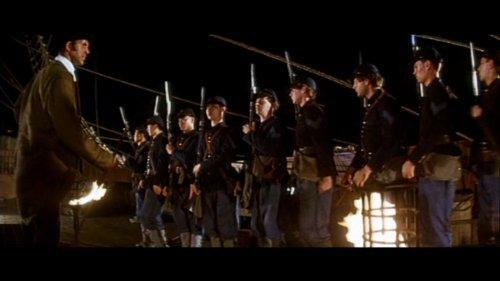 Most will want to watch it without the distraction of subtitles, to appreciate the great fight scenes and excellent cinematography. Unfortunately, this group will be better off watching the film muted. Every single one of the five points this film has been given are thanks to the fantastic cinematography. The fight scenes, are superb. The composition of each shot is equally as brilliant. Everything else is virtually rubbish, with the exception of a few good performances. To be even more controversial, I’d call it the Schindler’s List of martial arts films – propagandist, shallow, convoluted and well-filmed. Schindler’s List, however, pulled itself from the depths of cinematic hell with some of the best performances in recent history. Once Upon a Time in China doesn’t afford itself that luxury. Looks like they've employed Jesus as stunt co-ordinator. The video presentation is very ordinary. Heavy grain is the main issue, that’s present throughout the entire film. The grain also serves to dramatically decrease detail levels. Colours also suffer from the grain, which become muted and dry. The film is obviously meant to have a soft palette, but not this soft. Some scenes almost appear monochromatic, in just presenting a number of shades of brown. Edge enhancement and some minor aliasing are the major problems with the transfer itself. Often white halos will surround characters in dimly lit (hence very grainy) scenes. I usually don’t find edge enhancement distracting, but this was an exception. Some minor aliasing is present in a few scenes, usually those right before a fight, when guns/weapons are lined up ready for the impending chaos. This is not an old film, but it is a Hong Kong martial arts film, so a degree of inferiority is almost expected, and to another degree accepted. The video is decidedly poor, but it doesn’t really detract from the film (unless you’re a transfer Nazi). The edge enhancement is the only factor that will be a real issue for fans of the film, as it’s just out of place and irritating. Both the original Cantonese and English dub Dolby Digital 5.1 soundtracks are available, with the English as the default. English subtitles are provided for those watching in the original language, and are well presented. As I mentioned earlier, the original Cantonese is a dub (as I do believe most martial arts films were shot silently) rather than a regular recording. This means that voices don’t match lip movements, and only the most necessary sound effects are present. It is distracting, and for those who aren’t accustomed to watching a dubbed film will find this frustrating. The sound quality of the Cantonese track is fine – it makes good use of the surrounds during fights and when raining. The dialogue is balanced well with the sound effects and music. Everything sounds clear and audible. It doesn’t have the dynamic feel that you’d hope, but this is because it’s naturally a dub. The Cantonese Dolby Digital 5.1 mix gets 8/10. The English track is terrible. To add to the already awful voice acting is a very poor mix. The volume level of the dialogue often changes, from overpowering in one scene to whisper-level in the next. If dialogue isn’t drowned by distorting sound effects, it’s overpowering the now very faint music. This track doesn’t use the surrounds as extensively as the Cantonese track (for reasons I have no idea). The English Dolby Digital 5.1 mix gets 4/10. The main extra feature is the excellent audio commentary from Mark King (plays a British Officer in the film) and Bey Logan (martial arts film fanatic), who share pockets of information about the film, often digressing into stories and such which prove engaging and interesting. Logan especially has a lot to say about the film, which will clearly delight big fans, who will gain a lot from the wealth of knowledge he constantly plunges into. Two interviews from cast members Jet Li (10:35) and Yam Sai-kwoon (7:49) also prove engaging, aside from the terrible audio. They both speak on their careers as martial artists, showing clips from their various films. A photo gallery showcases 28 stills, and are organised terribly. Give this a miss. A narrated ‘biography showcase’ of Jet Li’s career, from his origins to his 2000 hit Romeo Must Die, is presented through scrolling text and images. This is dead boring, and while may contain interesting information, is presented terribly. Trailers for Universal’s ‘Hong Kong Legends’ DVD collection round up the extra features bundle, they include – Armour of God, Big Boss, Fist of Fury, Game of Death, Iron Monkey. The UK Promo trailer and theatrical trailer for Once Upon a Time in China also feature. The audio commentary and interviews are very interesting, the rest can be happily thrown away. So there it is. This film is decidedly average. The video and video are each decidedly average. The entire DVD package is decidedly crappy. Those who enjoy the film will be thankful for the good number of extra features. "Don’t mistake this as anything more than a formulaic martial arts film." "This is a film that simply oozes perfection. " "While slightly derivative and lacking, The Cat Returns is a charming film from the world’s greatest animation studio. " "While certainly strange and esoteric, The Triplets of Belleville is a fascinating animated film." "This is one of the finest films ever created. Buy it now." "Alas, The Sugarland Express turned out as terrible as we all imagined."